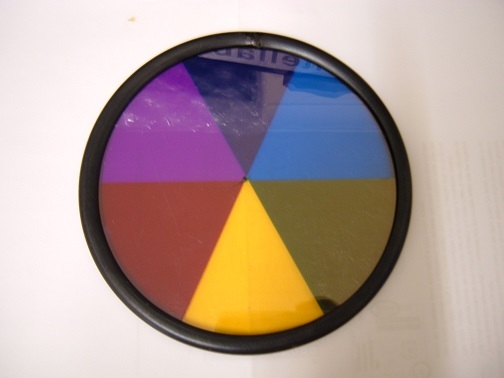 This page deals with the creation of some further simple 6" effect wheels for projection. A. 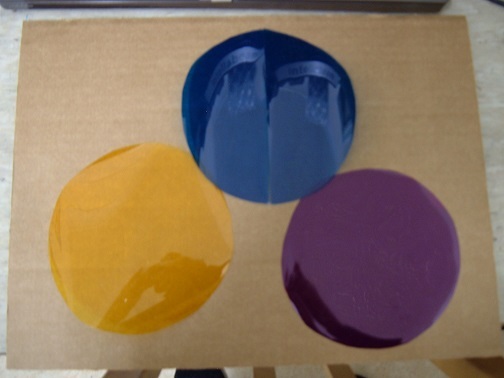 Cut circles from the three gels using the glass as a template, or scribe with a compas then cut. 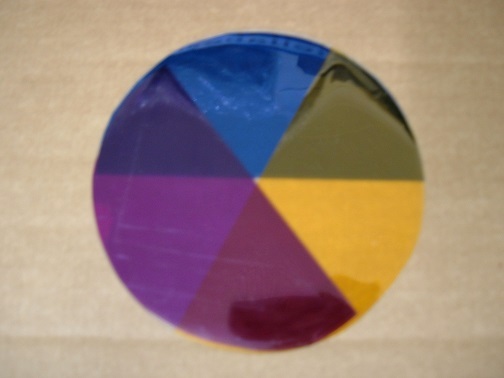 C. Lay the gels onto one of the glass discs in the following order: Yellow, Blue, Magenta, such that you form equal sized colour segments (by overlaying one colour with the next and so on. 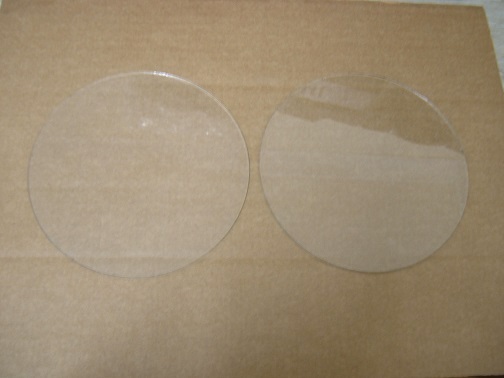 D. Now carefully place the other glass ontop to 'trap' the gels between the glass discs. 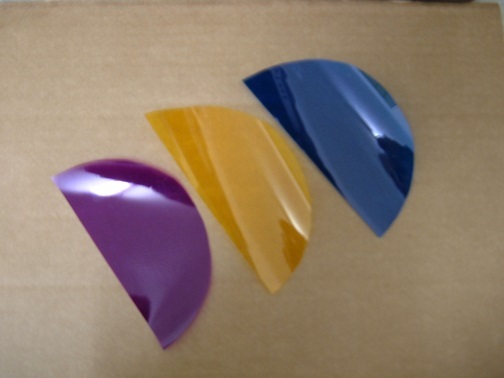 E. Carefully apply the edging strip and glue the ends of the strip to form a rubber edge seal. 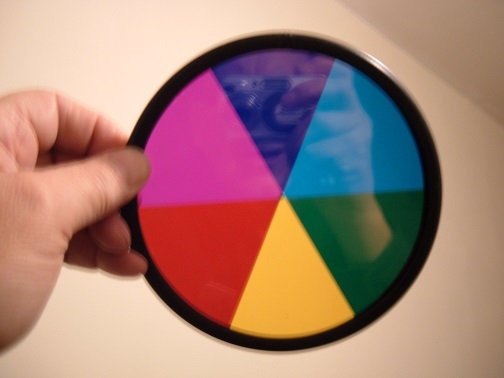 F. Locate the exact centre of the wheel and glue and mount the boss or washer fixing.